Ivan Glasenberg outlasted all his major peers after the multi-year boom in metals prices turned into a rout in 2013. 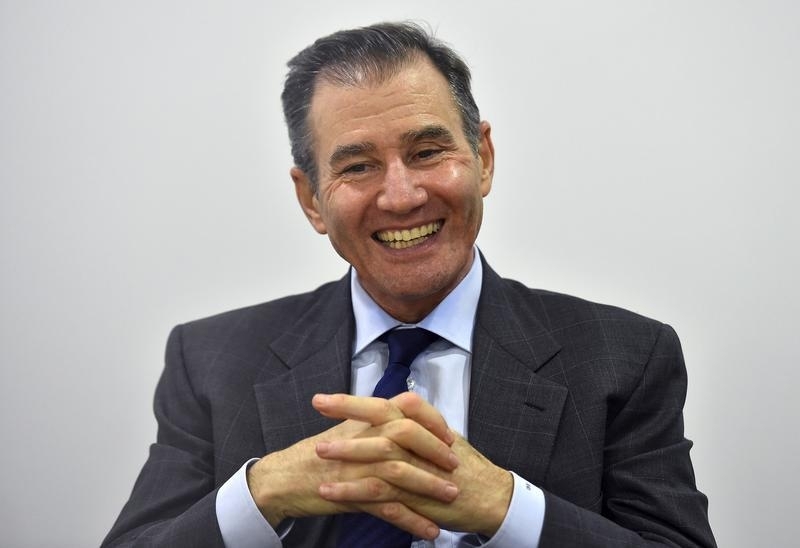 The Glencore chief’s misjudgment of the market severely tried investors’ patience in 2015. Yet when the second wave of mining executive ousters comes, as it may soon, it’s likely Glasenberg will again be the last man standing. Rio Tinto, BHP Billiton and Anglo American all changed chief executives two years ago, as the supercycle in commodities turned out to be a myth. But the incomers – Sam Walsh, Andrew Mackenzie and Mark Cutifani – haven’t been able to arrest the decline. They have cut capital expenditure, sold assets and in Anglo’s case, belatedly slashed dividends. Since the beginning of 2013, their combined market value has fallen by 59 percent to $143 billion. Glasenberg has fared no better. Glencore’s shares had declined 70 percent in the year to Dec. 30. Worse, unlike rivals, the company is still laden with debt. The tough-talking Glasenberg helped to gear up Glencore at a time when Chinese demand for metals was expected to remain strong. He admits now that doing so was a mistake. Rivals’ bosses have been ousted for similar missteps. The big difference is that Glasenberg remains Glencore’s largest individual shareholder, with an 8.4 percent stake according to Eikon data. Meanwhile, he still appears to have support from his colleagues, who along with him own around 30 percent of the company, according to a person familiar with the situation. That makes him almost impossible to remove. Loyalty can’t be taken for granted. Powerful investors such as Qatar Holding and Harris Associates – which together own more than 13 percent of the company – have seen the value of their holdings collapse. So have many senior managers, turned into billionaires in their own right after the company listed in 2011. But that might explain the biggest change of all: Glasenberg’s brush with humility. He has cut the dividend and pledged to reduce net debt to $18 billion, from a previous forecast of $27 billion, by the end of 2016. Moreover, he has effectively admitted that he got it wrong – something unthinkable a couple of years ago. That might be what sees the Glencore boss through the next shakeout. Glencore said on Dec. 10 that it would reduce its net debt to between $18 billion and $19 billion by the end of 2016. In September it had previously targeted net debt of $20 billion, lower than its earlier target of $27 billion. The Swiss-based mining and commodities trader’s September plan involved slashing $10.2 billion from its net debt in response to falling prices. The company has now increased that target to $13.1 billion. Glencore shares have fallen around 70 percent this year. They closed at 89.8 pence on Dec. 30.